Forget about waterproof headphones; they don't work underwater. They tend to fall off too easily when you take them swimming and at best they're a pain in the ear. 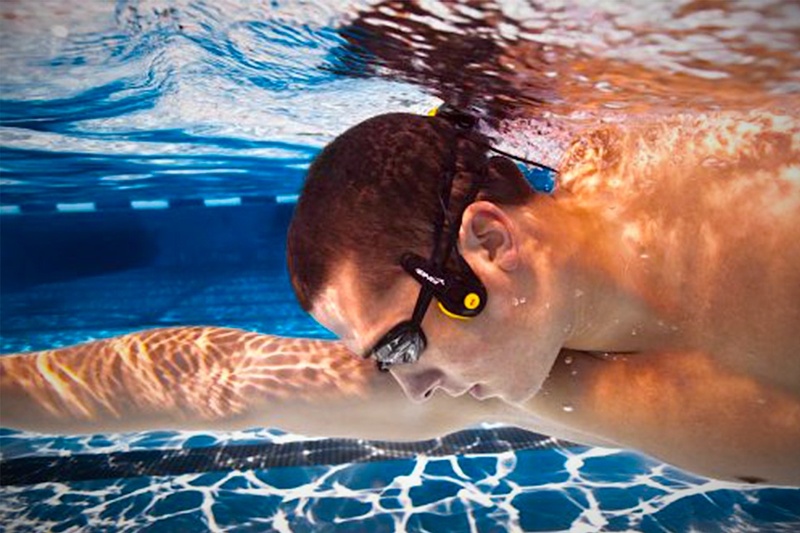 What's great about the Finis Neptune underwater mp3 player is that there are no headphones. Sound is transmitted to your inner ear via your jawbones, making it feel like the sound is inside your head. The device attaches securely to the swimmer's goggle straps and has a 4Gb storage, enough for approximately 60 hours of audiobooks.